So how have craft labels got anything to do with this statement? … Entrepreneurs are the backbone of Britain. Many very successful businesses start as hobbies or interests and grow into a business in their own right. These companies are often successful because the owner will love what they do: it’s not a 9 to 5 grind when you enjoy yourself! Nothing is more true of this than the great British crafter. With the rise of social media platforms like Pinterest, websites like Etsy, Instructables.com and any number of television programs about home crafts, there’s been a huge rise in people giving crafts a go. It may be baking, restoring furniture, sewing or something very specialist but more people than ever are giving crafts a go and many of them are going from their sitting rooms or sheds into the world of business! Cheeky little craft labels may just be the first boost you need! In many cases, you’ll have no idea where something was made or the processes that went into creating it. For instance, you could have a fabulous wedding cake that was crafted in a bakery or in someone’s kitchen. A bespoke piece of pallet furniture that was built in a huge workshop or on someone’s patio. Maybe some cuddly toys that were sewn on a dining room table or in a Chinese factory. You need to tell your story as people don’t just buy things because they look nice: They want to feel good about what they’ve bought. 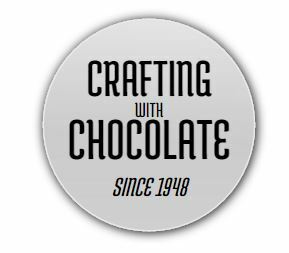 Here is where craft stickers come in! It’s important to make the things you create as it shows that more care and attention went into your crafted items than if they’d been built in a factory somewhere. It shows a high level of attention and quality, building on your own style and brand identity. If you attach a branded sticker or perhaps your contact details to anything you create then it’s an easy way for customers to keep returning, or to find potential new customers who see the branding. 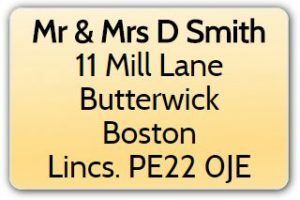 We’ve mentioned before the power of contact details on stickers, it’s an easy means of promotion that costs literally a matter of pence. Whether it’s up-cycled furniture, crafted toys, jewellery, home decor or photographs, the list goes on and on. If it’s an item that will last a good few years then you are essentially promoting yourself for a long time to come! Let Them Know It’s Crafted! People hold hand-made items in high regard for the reasons we mentioned above. Handcrafted still means a lot because it’s usually unique and better made than something that is mass-produced. You may want to make it clear that something is hand-made and it’s easy to do that with a sticker. You don’t even need to say much more than that. You could perhaps include your logo or business name but you may simply want to indicate that the items is made with that extra bit of love or care. Depending on what you create you may wish to draw attention to certain features or warn of potential risks with the product. For example, you may wish to indicate there are nuts in a cake you’ve made, your chocolate is suitable for vegans or maybe that a bouquet contains real lilies that can be deadly to pets. Safety issues should always be pointed out with a sticker. It’s important to make people aware of anything that could cause harm or may be a good reason to buy the item you are selling! If you bake and an item is suitable for vegetarians, vegans of those with a gluten intolerance: tell them! Likewise, if you create items that have cool or unexpected features you should make customers aware of that. It may be a great selling point. 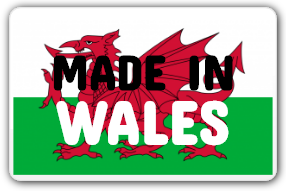 People like to ‘buy local’ and country of origin labels are great for promoting a bit of loyalty for the country or county you are in. People often associate a level of quality to items from certain places so you should capitalise on this: Perhaps you want to promote Scottish shortbread or show that your items are produced in a specific county that’s famed for quality like Melton Mowbray and pork pies! Many people feel it’s important to buy ethically and locally to support the local or national economy and origin stickers are perfect for this. Maybe your items are ideal for a certain time of year like Christmas or Valentine’s day? How about events like weddings, birthdays or parties? 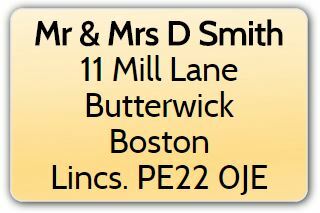 It’s ideal to have a sticker that alerts the potential buyer that your items are ideal for a certain event, time or place. You could even indicate that something is great for weather type, seasons or conditions not just occasions. Whatever you’d like to say, it can be really helpful to include a sticker that lets people know that your crafts are perfect for particular times, events or occasions. It is worth mentioning that there are lots of variations of sticker that you may want for the job. Vinyl stickers are great because they last for years without fading and will stand up to moisture and bad weather. 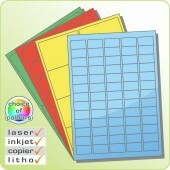 Great for long lasting promotions, contact details or standing the test of time. 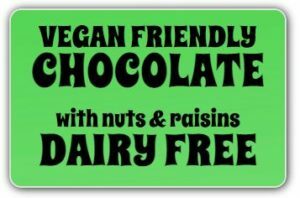 Environmentally friendly labels – You may wish to promote that your crafts are eco-friendly or ethically produced so these are ideal. Paper labels are cost effective and great for everyday jobs. From jam jars, wine bottles and cake labelling to all manner of products that can be made or repaired. Why Not Print Your Own? Finally, you may simply want to print your own as and when you want, at your convenience. Luckily we provide a wide range of shapes and sizes of Avery compatible labels in a huge number of colours. It can be cost-effective for really low numbers to simply print your own but for volumes of 50+, you may want to get them professionally done! It is time to start labelling your craft items because you could be one of the next big UK businesses!